The 3D virtual tour highlights the awesome water view of Charlotte Harbor from this condo unit, which is the best view in the building! This gorgeous open floor plan harbor front end unit comes with a deeded dock and 30,000 lb. boat lift. Access to open water on your boat is only about a minute away! All windows and doors are high impact glass added in 2010 plus there are electric shutters for added peace of mind. Crown molding, high ceilings, lots of closet space throughout and a view of the water from the front door are only a few of the wonderful qualities this condo has to offer! The air conditioner is one year old and the hot water heater and dishwasher were replaced this year. Unit also comes with a reserved parking space and storage under the building. enjoy the Florida sun while you swim in the pool, play tennis or Pickleball, or just walk across the street to charming Fisherman's Village for shopping and dining. 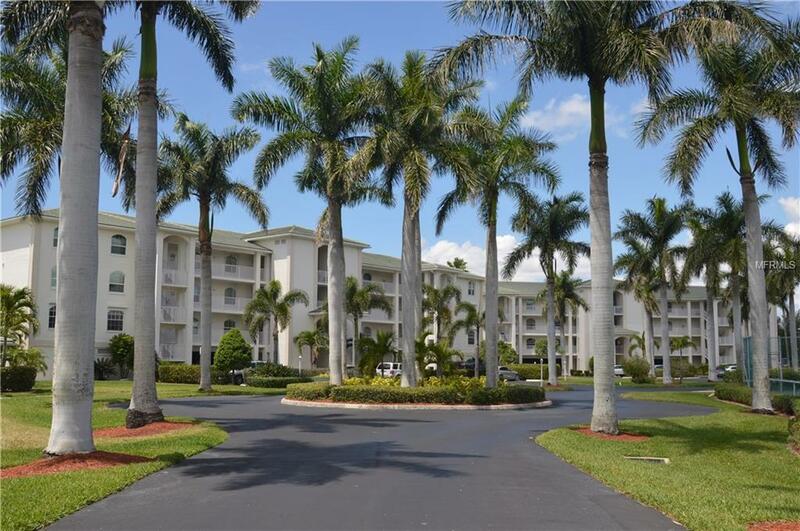 The Starboard Point condos don't come on the market very often, so don't miss your opportunity to buy it today! Amenities Additional Fees Nextdoor To Fisherman's Village!